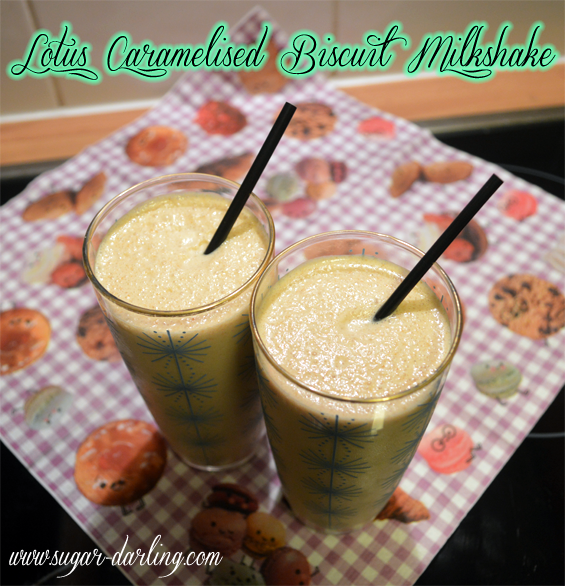 Lotus Caramelised Biscuit Milkshake Recipe - Sugar, Darling? OK so I'm not sure if you'll all be familiar with the Lotus biscuits by name, but I'm sure a lot of you will have eaten them. If you've ever had a coffee in a restaurant and it's come with a little caramelly brown sugar biscuit on the side it was most likely a Lotus biscuit. You can buy packs of them in most supermarkets now and recently a few of them have also started selling Lotus biscuit spread in smooth or chunky varieties much like peanut butter. It's absolutely gorgeous stuff and in complete honesty before using it in this shake I have just eaten it on a spoon... no remorse. This recipe came about as I wanted to do something a little different for Boxing Day pudding last year. I always have my family over to our place and do a big roast dinner on B'Day as my mum always works Christmas Day. So rather than a big stodgy pud for 2013 I decided to do a little Lotus milkshake (all my family love Lotus biccies) and a little brandy hot chocolate with a little plate of my homemade fudge in the middle of the table if anyone wanted any. It all went down very well but this shake was definitely the star of the show. It's mega delicious and I really suggest you give it a go if you like brown sugary caramelly things! 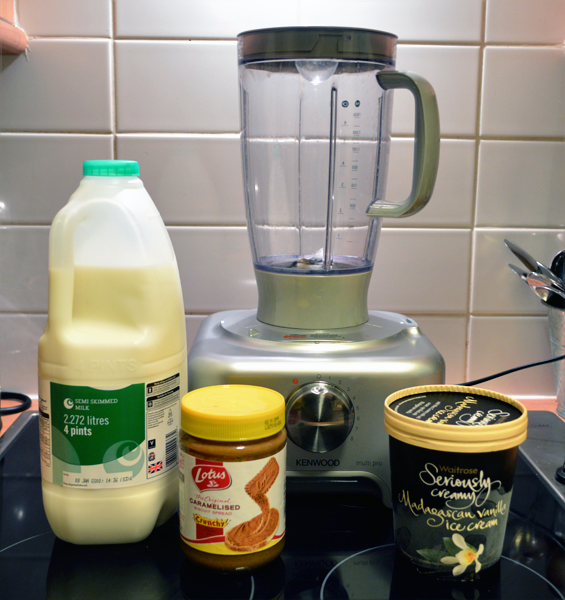 Stick it all in a blender and give it a whizz up - add the milk a little at a time until you get the thickness you desire!